This topic contains 0 replies, has 1 voice, and was last updated by Danny 6 months, 2 weeks ago. Question 1. When I click on install button, 5 or 10 minutes later show me Server 500 error. I tried manual demo content and getting the same errors. In this case you should contact your hosting provider and ask them for a quick assistance with this via their Live Chat or Support Phone. It’s your right to ask for these updates as you paid for their service and they usually react timely upon similar requests. For the details of the solution, please have a look on the topic here. Question 2. How can I set a demo page as my Homepage ? Answer: Our theme comes with multiple homepage layouts that you can find in your Dashboard > Pages (all the pages with parent “Home”). To set a page as your homepage. Please go to Dashboard > Settings > Reading, click on “A static page” and set the “Front page” option to the page you wish. Question 3. How to activating WPBakery Page Builder (Visual Composer), Slider Revolution ? Answer: When you purchase a theme from ThemeForest that bundles Visual Composer or any other Premium plugins, you are free to use these plugins with the theme. You can read more about bundled license in the article here. Also, if you can’t see the page builder, please have a look at the topic here. Question 4. How can I change the “portfolio” word in the portfolio URL to something else ? Answer: To change the word “portfolio” in URL, please go to your Dashboard > Appearances > Customize > Portfolio, and set the “Portfolio URL slug” option to “project”, for example. And then, please make sure to refresh the permalinks by going to Settings > Permalinks and click on the ‘Save Changes’ button. Otherwise, the change will do not work properly. Question 5. I can’t get google maps to work ? Answer: To resolve this issue, please have a look at the article here. Question 6. How do I remove the breadcrumb in Page Header ? Answer: Please go to Dashboard > Appearances > Customize > System, and set the “Enable Breadcrumbs?” option to “No”. Question 7. Whenever I make a customization on Appearances > Customize it doesn’t show on preview the changes i just made. I tried changing the header and the footer, saving and publishing it but it doesn’t change. Can you help ? 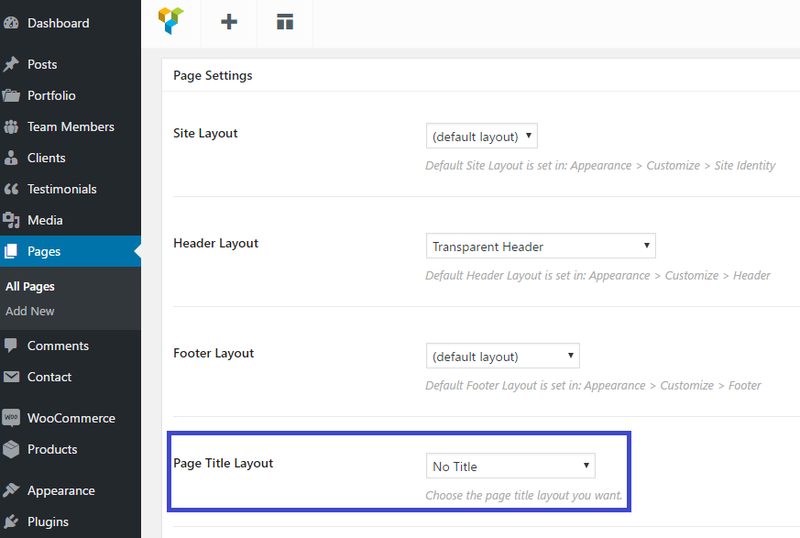 Answer: Our theme comes with 2 theme options that you can see in “Appearances > Customize” and in bottom of each page/post editor called “Page Options”. And the options in “Page Options” will override all settings in “Appearances > Customize”. 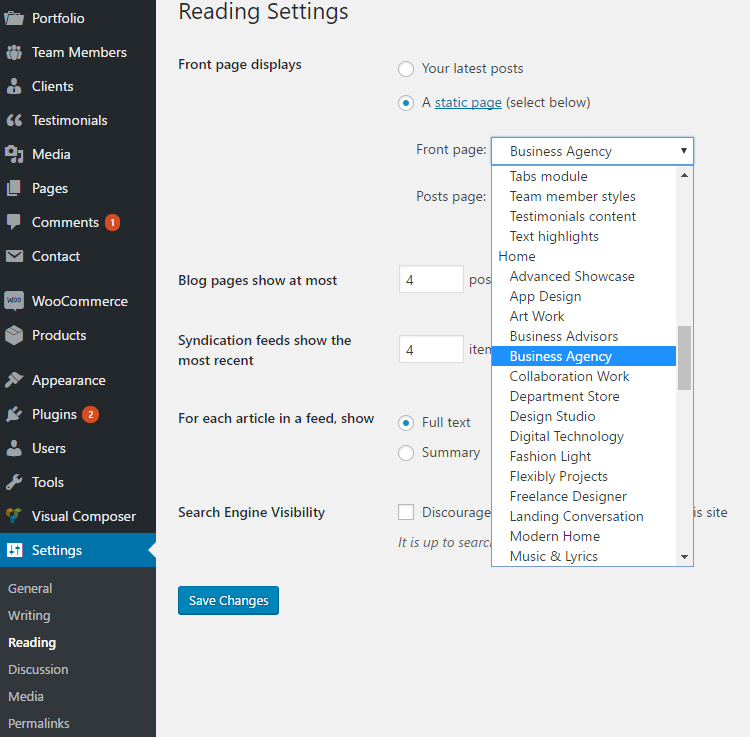 So you may see some page/post that still don’t change header footer when you make change in Customize panel. Question 8. I’ve added a Single Header element to top of my page, but there is a white header background with a breadcrumb in there. How can I get rid of that white header ? Answer: That is because you are using the default Page Title (white background) in your page. Question 9. I changed the header in our Blog/Shop/Portfolio page, but it doesn’t change when viewing in front-end. Can you help? Answer: That is because WordPress will use the default archive page (Blog/Shop/Portfolio) template of the theme for your page, and it will override your setting and content of that page editor. In this case, you’ll need to customize your Blog page via your Dashboard > Appearances > Customize > Blog/Shop/Portfolio. Question 10. 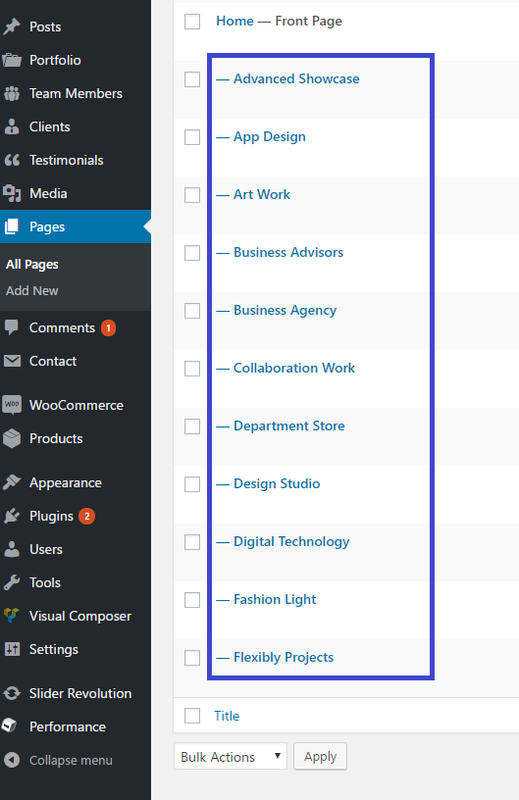 How can I activate the page builder for my blog posts? 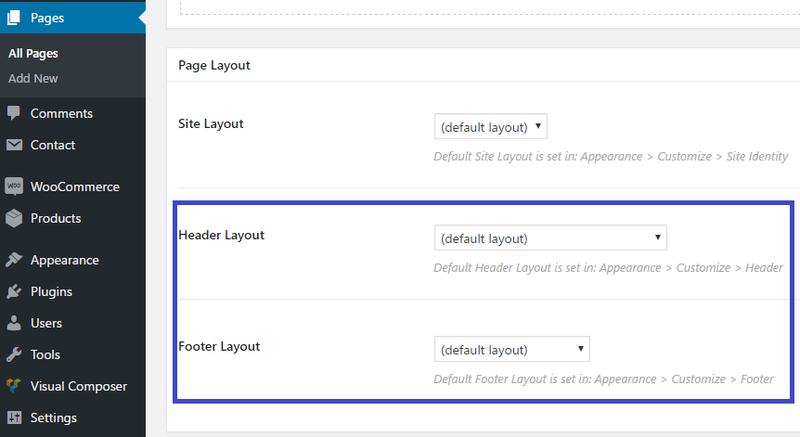 Answer: If you want to use Visual Composer for your Blog Posts as in the Pages editor, you can go to your Dadhboard > Visual Composer > Role Manager and choose Custom from the dropdown then check on “post” to use the Visual Composer. Question 11. How do I center a button in the page builder? Answer: To center a button, please have a look at this topic for the solution. Question 12. The search form only show posts results. Can i fix it? Answer: To resolve this issue, please go to your Dashboard > Appearances > Customize > System, and set the “Exclude Pages from Search Results?” option to “No”. Can’t find what you need? Simply open a support ticket and we’ll happy to help you out. The topic ‘→→ Frequently Asked Questions (FAQs) ←←’ is closed to new replies.